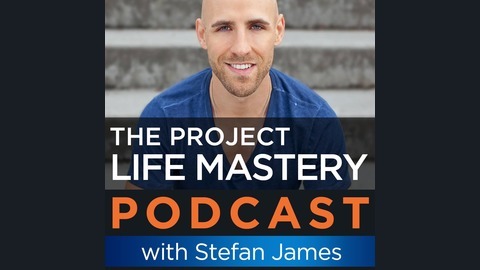 Stefan James from the Project Life Mastery blog reveals his very best strategies to mastering and living life fully; everything from how to be motivated, his secrets to success, how to make money online, making passive income online, how to change your beliefs and mindset, being healthy and physically fit, being happy and productive, life management, cultivating relationships, spirituality, and much more! 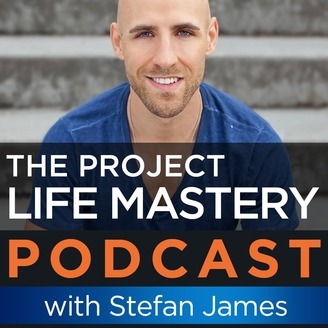 This podcast contains Stefan's very best strategies and principles that he's shared in-depth on his blog, as well as on his popular YouTube Channel, that has now helped millions of people around the world. This podcast is designed to help you make continual progress in each area of your life, so that you can have lasting growth and fulfillment. Making Money Online | Motivation | Self-Improvement | Success | Passive Income | Lifestyle To visit the blog, go to: http://www.projectlifemastery.com. Have you ever wondered how peak performers are able to master success? In this podcast, I interview Todd Herman about the secrets behind peak performers. For the last twenty years, Todd has been helping the world's top peak performers. He teaches people strategies and tools for how they can master their mental game so that they are able to compete with confidence and win at life. If you are ready to take your performance to the next level and create your own heroic alter ego, this is an interview that you don't want to miss!